The social-emotional side of gifted learners is sometimes overlooked, because of the focus on academic achievement. Yet without attention to their social and emotional lives, gifted learners don't reach their potential. 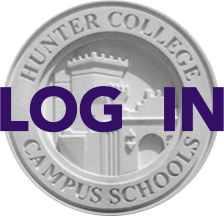 Dr. Elissa F. Brown, Director of the Hunter College Gifted Center and Distinguished Lecturer at Hunter's School of Education, will speak about the links between Hunter students' emotional development and their academic achievement. She will also answer questions and discuss strategies that families can use to support their gifted children. A free, round-trip bus leaves Hunter at 6 pm and returns to Hunter after the meeting ends at 9 pm. Parents who are planning to take the bus must RSVP to Yunzhong Shu at bus@hunterpta.org; space is limited so first come, first served. Please let him know by noon on Tuesday, March 29th if you plan to ride in just one direction (HCHS to Queens) or need a round trip.